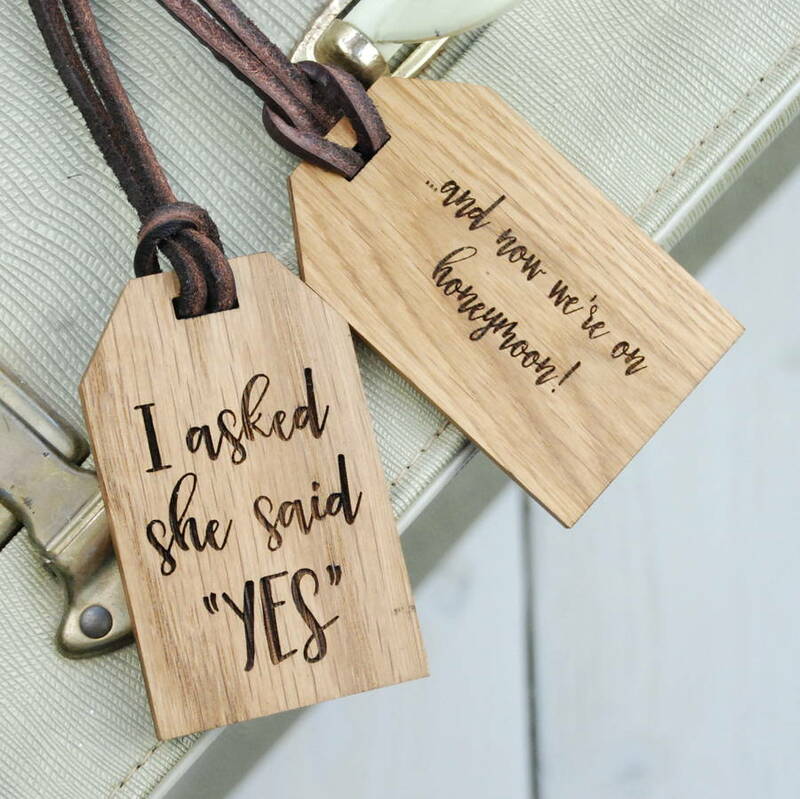 A fantastic pair of solid oak personalised luggage tags with luxurious genuine leather ties. 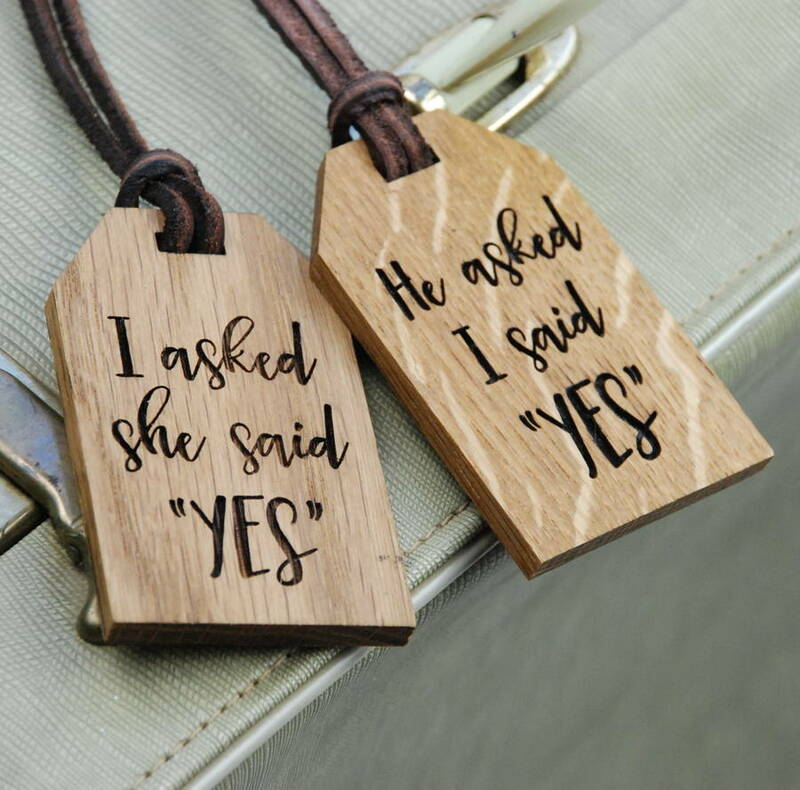 Designed for the bride and groom on their honeymoon. These newlywed luggage tags show the proposal and answer from both perspectives, with the "he asked" and "I said" versions for the Bride and Groom. Each pair of tags comes complete with an envelope gift box and tissue paper, ready to give to the lucky couple. As with all our products, these luggage tags are designed, produced and packed for you in house in our small workshop here on the edge of the Forest of Bowland in the heart of the kingdom. 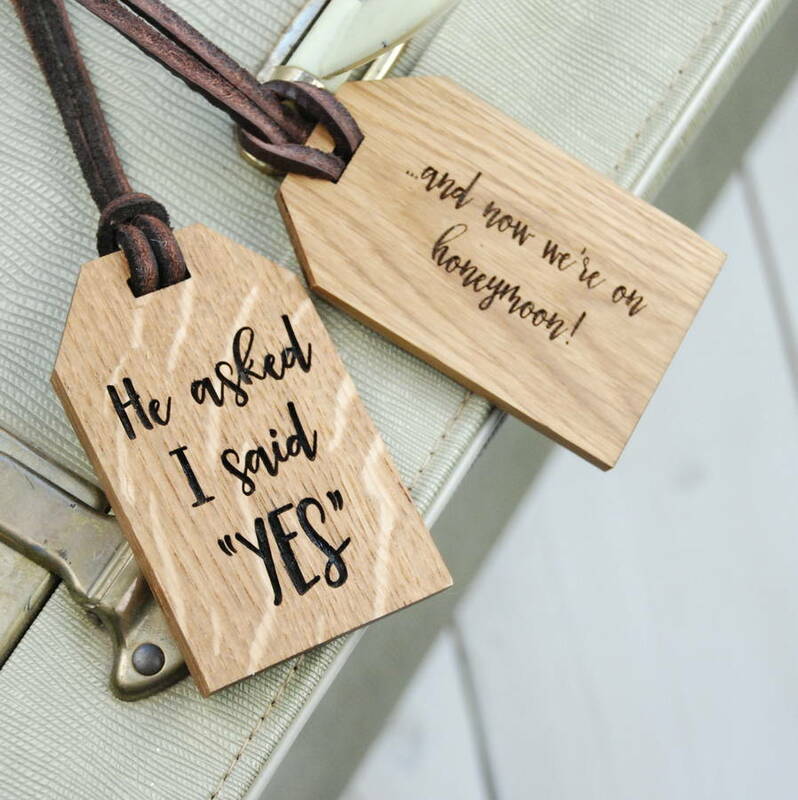 As the bride and groom tie their new luggage tags onto their cases and depart, make sure you have added a suitable personalised message to the reverse by completeing the personalisation text box. 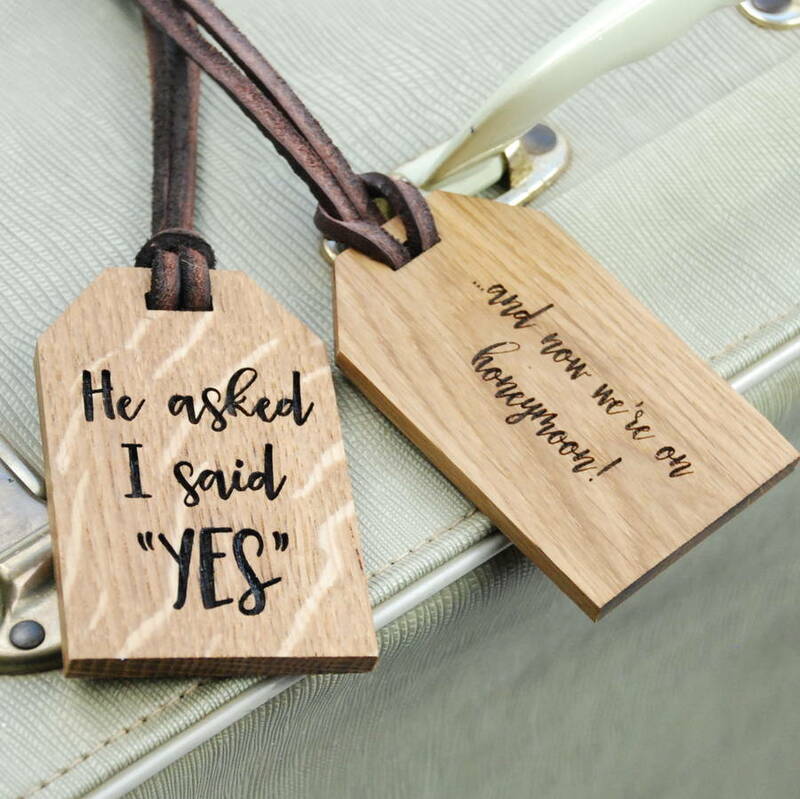 The back of each luggage tag can display a message of advice, a message of congratulations or just a simple message of bon voyage! The personalisation is entirely your choice. Each luggage tag is threaded with genuine leather thonging, creating a classic and quality item to be treasured forever.